Thay are so stupid. It will happen just like every other gen. Price to high nintendo stays cheap and inovated and steels the market agin and agin. I would rather have a little load time than pay 1000+ for a ps4. Ill be playing my ps3 for years to come. The PS4 won't be $1000. Fact. The PS4 won't even be more expensive than the PS3 - leaked prices show $430-530. The PS3 was so expensive because of the Blue-Ray player and the Cell processor - both at that time were new and very expensive to make. It was initially around $600 just to MAKE the blue ray drive ALONE, so Sony lost money on PS3's or a few years after it's release. Sony is using more conventional hardware, and blue-ray is obviously cheap to make now. 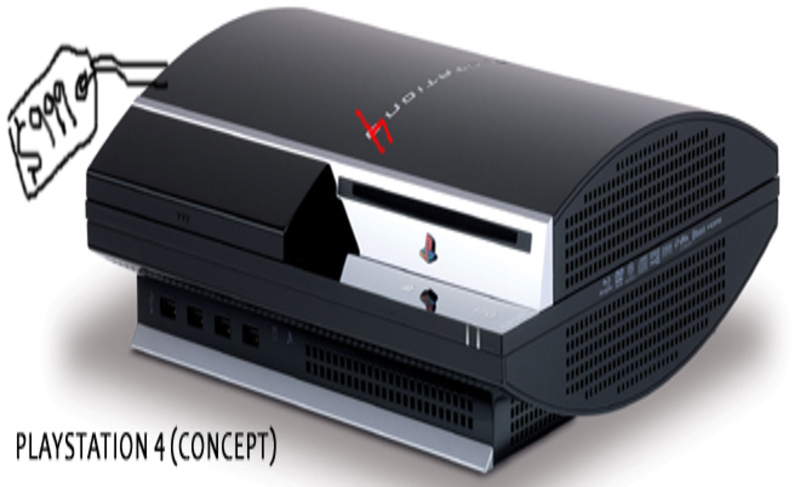 So there is no reason why the console, basing on the components being used, should exceed that of the PS3. And as for what you said about the Nintendo's "load times" - that should be the least of your concern. The Wii didn't even support HD. The hardware wouldn't be able to render most assets at the level that the PS3 and 360 did efficiently. And many games that did make it on to the Wii weren't as good - for one thing HD wasn't supported, gameplay was motion control-forced, and many elements had to be removed - the damage model in NFS: ProStreet is a prime example. Nintendo is the king of all game systems, while it lacks most of the good games it makes up for it with innovation. Take the nes for instance it was hands down the best game system of it's time and what about n64 with four controller ports, expansion pack capability, and 007! Then when the wii came out it was an instant classic, and xbox and ps3 had to copy them with the motion capability. Then the wii-u came out last nov. with the high def touch screen interactive online gameplay and games like assasins creed, call of duty ect. all that with a $300 price tag. Have you ever even heard of the wii u? or do you live under a rock? I'm not saying anything bad about PS, it's one of my favorite systems. Just give credit where credit is due, without nintendo, we'd still be playing pong!! The Wii wasn't capable of HD, due to low specs. That was a HUGE set back. And now the Wii U has 2 GB ram against the PS4 and likely Xbox 720, which will have 8 GB ram. The Wii U is so cheap because it's using cheaper and less powerful hardware. The PS4, (although Sony said games would not support it), can do 4K resolution output. (4 times the resolution of 1080p). Only now the Wii U can support games that had been supported on the PS3 and 360 for a few years. But, as you said, it's been very innovative with the motion and touch pad controls. But you're also forced to use motion, when I'd rather use a controller. I get Nintendo revolutionized gaming, but they're falling behind on power now. They aren't ahead of the pack like they were long ago, and if they fall behind on power next generation, they may fall out of the console line-up, or at least lose a lot of sales. The PS2 had the eye toy pre-wii; and SEGA made a superior system in my view back in the day. What about Intellivision, Atari and Collecovision? We would still have great systems and be playing more than Pong without Nintendo, Playstation or XBox. Dont warp history because you have a love affair with NES. If it wasn't for a initial joint venture between Nintendo and Sony, we wouldn't have had the Playstation 1, at least not the version we had. Nintendo approached Sony with the idea of a new game system, however Nintendo got cold feet... so to speak, and pulled out during the development of the PS1. Sony chose to go through with it and produce the new system. So in a way, Nintendo has themselves to think for creating one of its strongest competitors. That's actually completely irrelevant. He's talking about the Wii because that was Nintendo's newest system when the ps3 and 360 were released. Maybe you should realize the point he's trying to make before you leave a long, pointless comment. why do they do 999 even though we know it's 1000 or 1005 it hurt my head when they do that ..... ow.